Du Plessis Sand had its humble beginnings way back in 1979 when a young Hilgard du Plessis embarked on a solo quest of setting up a transport company with a truck that he salvaged from a local scrapyard. With very little resources and no outside backup, he put in very long hours, hard work and fierce dedication, slowly growing the business over the next few years. Without the luxury of external finance, the only option was to purchase scrapped/redundant vehicles from either scrapyards or auctions and painstakingly rebuilding them. During the day he would do deliveries to customers while spending any available time afterhours rebuilding his next truck. It was not until he had grown his fleet to seven trucks that he stopped driving one of the vehicles himself and started tending to the workshop fulltime. Up until then, the workshop staff comprised of two people – Hilgard himself and old Alwyn, his trusty toolhand. Between the two of them, trucks were serviced and maintained, tyres were fixed and replaced and all of the trucks thoroughly cleaned every weekend. The business gradually grew to be well known within the local construction industry as a reputable supplier of sand and stone. 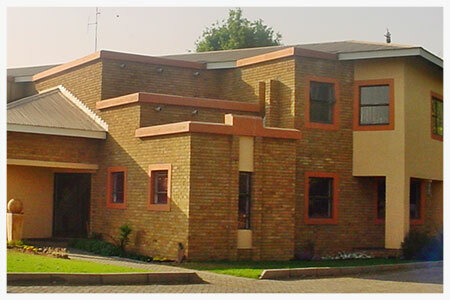 In the late 80’s Hilgard bought a small farm near Sasolburg and started mining his own building and plaster sand. Until this time Hilgard conducted business as a sole proprietor, but in 1991 decided that the time has come to register a private company and thus Hilgard du Plessis Sand & Klip (Edms.) Bpk. was registered. By this time, Du Plessis Sand had expanded its operations to cater for numerous government housing projects, as well as a considerable number of ready mix plants all across the Southern parts of Johannesburg. However, towards 1998, a slump in the construction industry forced the company to seek alternative markets. In 1999 the company embarked on its first “long distance” route, transporting coal from Witbank down to Durban and returning with sunflower oil cake from Pietermaritzburg to Randfontein. This venture proved very successful and the company’s “long distance” operations quickly expanded into transporting a number of other commodities like chrome, fertiliser, sulphur, lime and gypsum between places like Rustenburg, Middelburg (MP), Richards Bay, Durban, Newcastle and the greater Johannesburg area. Between 2000 and 2008 the company grew in bounds and leaps, also venturing into other markets like tankers and flat decks which served the local chemical industry. An in-house transport brokerage division was established with the objective of building a network of reputable subcontractors who could assist with large ad-hoc orders, as well as assistance with transport services to and from less popular routes/areas. Subcontractors were handpicked according to their geographical footprint which enabled the company to provide customers with more competitive rates on certain routes which would otherwise not be viable with its own fleet. However, the 2009 economic recession hit the company very hard and the decision was taken to refocus attention onto its core business, namely tippers. It was during this time that the company first explored possibilities beyond the borders of S.A. and for the next two years transported coal & maize from South Africa to Zimbabwe, Zambia and the DRC, returning with copper concentrate from Zambia for export via Durban harbour. It was not until the recession hit the country that the true value of the in-house brokerage division became evident. By this time there was a well-developed network of business dealings between Du Plessis Sand and a number of other well-known transport companies. This network enabled the company to take on work that would otherwise not be possible due to limited infrastructure and/or geographical constraints. It allowed the company to almost seamlessly move vehicles around the country to where ever they were required. By 2014 the volume of work that passed through the brokerage division dictated the need to be operated as a separate cost centre. Therefore the decision was taken to decentralise this division into a separate entity namely, Du Plessis Sand & Transport. In 2016 a combined stake of 51% was sold to two Black Owned entities of which one is 30% Black Women Owned. Today the company and its subsidiaries are headed up by Hilgard’s eldest son, André du Plessis who continues to build the company’s legacy based on the principles of trust, integrity and above average standards of service, quality, responsibility and commitment. The fact that Du Plessis Sand is based on the same farm on which the Du Plessis family resides, meant that Andre literally grew up in his father’s transport business. Big trucks, yellow machines and the smell of diesel fumes in the early morning mist intrigued him from as early as he can remember. Therefore, it’s no surprise that, by the time he was 10 years old, there was not a single piece of equipment in the depot that he could not operate. At around age 12, he started working school holidays for pocket money, at first loading trucks by means of a front-end loader from a small sandpit located on another farm which the company owned, and later driving a truck to and from a small sand washing plant situated on a neighbouring farm. Whilst in high school, Andre got involved in the administration side of the business, on a daily basis allocating each driver’s delivery documentation and also ensuring that all deliveries correspond with each truck’s tachograph report in order to manage the risk of product theft, as well as unnecessary route deviations or idle time by the drivers. This had to be done afterhours, because the trucks usually arrived back at the depot between 18:00 – 20:00 and the documentation had to be checked and ready by 6 a.m. the following morning, so that any discrepancies could be sorted out with the driver in question before he commenced with his next shift. After finishing matric, Andre enrolled for a B.Com Accounting degree at, which was then the Rand Afrikaans University. He completed his first year of study, but during January 1999 his father’s right-hand man left the company and moved to Natal in pursuit of his own business. At the time, Andre was offered a choice of either completing his studies, or joining his father’s business fulltime. Needless to say, he jumped at the opportunity of entering the industry which had been his passion all his life. There he spent the next 11 years gaining valuable, “in the field” experience, initiating and managing various projects situated in other parts of the country and eventually heading the company’s operational department. During this time he also learnt first-hand, the importance of sound mechanical and administrative policies. In 2010 Andre was officially appointed Managing Director of the company and to date remains very active in both the operational, as well as mechanical departments.